I am a UK Neurologist keen on general neurology, but with an interest in neuromuscular diseases. I maintain the neurology searchable database, www.neurochecklists.com. I share and discuss current issues around clinical neurology and I hope you find this blog enlightening, practical, and even entertaining. Alzheimer’s disease (AD) is one of the most fearsome and recalcitrant scourges of neurology. We think we know a lot about it; after all it has been a quite a while since Alois Alzheimer described amyloid plaques and neurofibrillary tangles in his index patient, Frau Deter. But the more neuroscientists study the disease, the murkier the field looks. For example, we are still not quite sure what the plaques and tangles really signify; for all we know, they may just be innocent bystanders, powerless by-products of a neurodegenerative process that defies understanding. We have accumulated an endlessly long list of AD risk factors, but we have singularly been unable to point a finger at the cause of AD. This elusive void may however be a void no longer, if what superficially appears to be an outlandish theory turns out to be correct. And the theory is that AD is caused by infection! Just take a deep breathe, and allow yourself the space to make a giant leap of imagination. My attention was first drawn to the infective hypothesis of AD by a headline in Scientific American screaming Controversial New Push to Tie Microbes to Alzheimer’s Disease. The obvious key word here of course is controversial: is it possible that AD, this quintessential neurodegenerative disease, is…just another chronic infection? To find the original source of the story, the trail of bread crumbs led to an editorial published in the Journal of Alzheimer’s Disease in 2016, plainly titled Microbes and Alzheimer’s Disease. But this is not a run-of-the-mill editorial at all because it was written by 33 senior scientists and clinicians from a dozen countries. And their reason for an alternative theory of AD is simple: amyloid, the long-suspected culprit for decades, has failed to live up to its billing. They point out that amyloid exists harmlessly in the brains of many older people who never go on to develop dementia. They also cite studies which demonstrate that treating amyloid, by immunological means, does not improve the state of people suffering from AD. 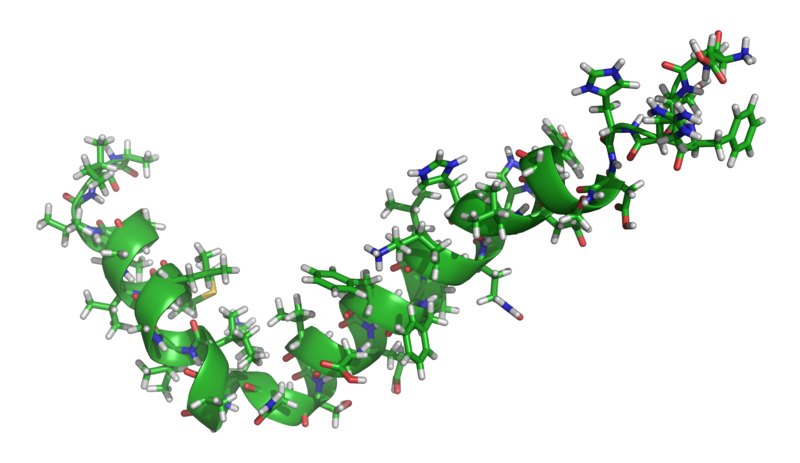 Amyloid, in other words, is not such a bad guy after all. But all the while we have been setting traps to ensnare it, the microbial villains have been running amok, having a field day. But why should microbes succeed where amyloid, the ubiquitous protein, has woefully failed? The editorial gave 8 good reasons to argue that the infection theory is better than the amyloid hypothesis. One reason is that the brains of people with AD are often riddled with inflammation, a characteristic feature of infections. Another reason is the observation that AD can be transferred to primates when they are inoculated with the brain tissue of someone with AD. It may be hard to swallow, but if you are still maintaining your imaginative leap, just spare a thought for the microbes that are on the line-up of competing suspects. Take your pick, from helicobacter pylori to fungal infections, from spirochetes such as Lyme neuroborreliosis to chlamydia, from cytomegalovirus (CMV) to polymicrobial infections. But of all the potential suspects, one stands head and shoulders above the rest (no fungal pun intended-honest). And the culprit with the most number of index fingers pointing at it is herpes simplex virus type 1 (HSV1). The editorial tells us that there have been about 100 publications, by different groups, demonstrating that HSV1 is a ‘major factor‘ in the causation of AD. Some of these studies have shown that people with AD have immunological signs of significant HSV infection in their blood. The editorial goes further to review the possible mechanisms by which HSV1 may cause AD; one of these is the possibility that the virus lowers the risk of AD in people who possess the APOE ɛ4 allele genetic liability. Just when you are getting your head round the idea, the infection theory takes a very sinister turn. And this relates to the perverse modus operandi of the microbes. The authors tell us that the microbes first gain access to the brains of their victims when they (the victims) were much younger. Like sleeper cells in their ghoulish crypts, the microbes hibernate, biding their time until their victims get older, and their immunity declines. The microbes then awaken, and like malevolent zombies, set out to wreak gory mayhem and cataclysmic destruction. And they do this either by causing direct damage to the brain, or indirectly by inducing inflammation. You can now descend form your giant imaginative leap and start to wonder: if AD is indeed caused by microbes, what can we do about it? ‘Tis time for some down-to-earth deep thinking. The blogosphere is a crowded place. To stand out from the pack, a lot of bustling and hustling takes place. Medical blogging is not exempt from this melee. However, in the zeal to put blog posts in the limelight, the blogger may inadvertently fixate on high profile diseases, the ones that seem to readily covet the headlines. In this way, deadlier but less ‘celebrity’ maladies are left to simmer and fester below the radar. To avoid falling into this trap, this blog endeavours, (every now and then), to shine a light on these clandestine infirmities. These are the plagues which profit by virtue of their anonymity. It is no surprise that many of these disorders are tropical diseases, and there is no sweltering equatorial beast more sinister than the ague. It is therefore in the interest of fairness and balance that we are putting cerebral malaria in the powerful spotlight. Malaria is a beast because it is endemic in many developing countries. The epidemiological map below gives a flavour of which countries receive the brunt of the miasm. 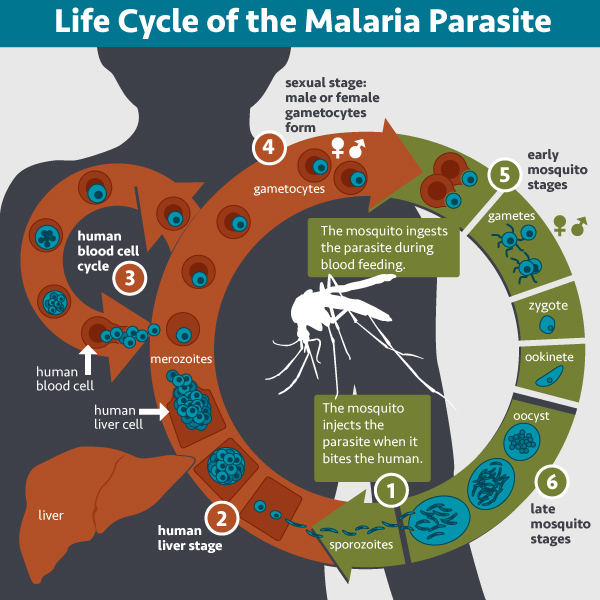 Just like other parasitic infections, malaria undertakes a tortuous life cycle. It appears that it is in the nature of these scroungers to beguile and hoodwink their way to the human bloodstream. Scurrying and scampering, they transit from mosquito to man. It is to the credit of malaria-busters such as Ronald Ross that their deceptive course, pictured below, was revealed. And a nasty monster is malaria. The different malaria species are transmitted by the female Anopheles mosquito (please don’t ask why). Finding warm veins irresistible, she sates her bloodthirsty cravings whilst unknowingly transmitting the malaria buggers called sporozoites. Once they get to the liver, these transform into insatiable merozoites which are tasked with one hatchet job: detect, invade and destroy innocent hardworking red blood cells. OK, I admit that’s three hatchet jobs. 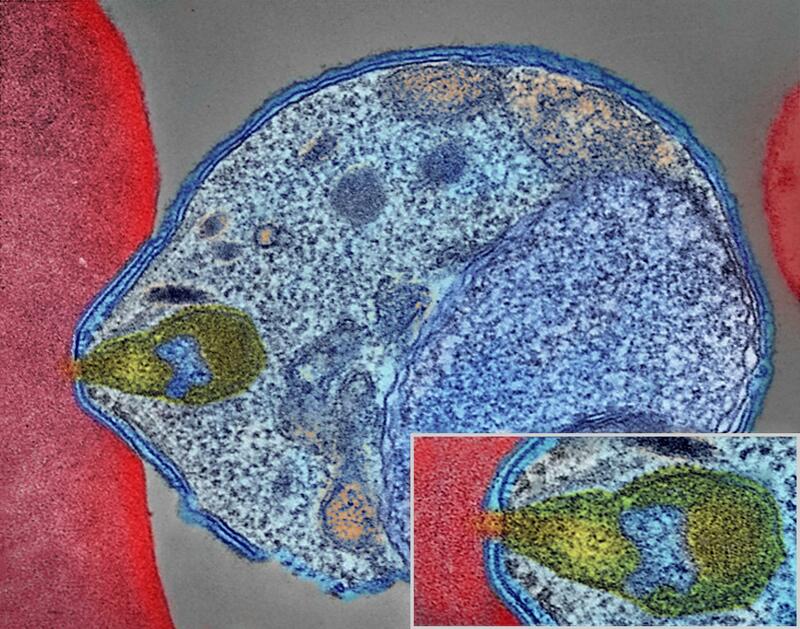 The plasmodium species vivax, ovale, and malariae can all wreak atrocious havoc, but it is falciparum that poses the greatest threat to the nervous system. This is partly because falciparum can make its host cells sticky, and in the brain, these sticky cells adhere tightly to the walls of blood vessels. 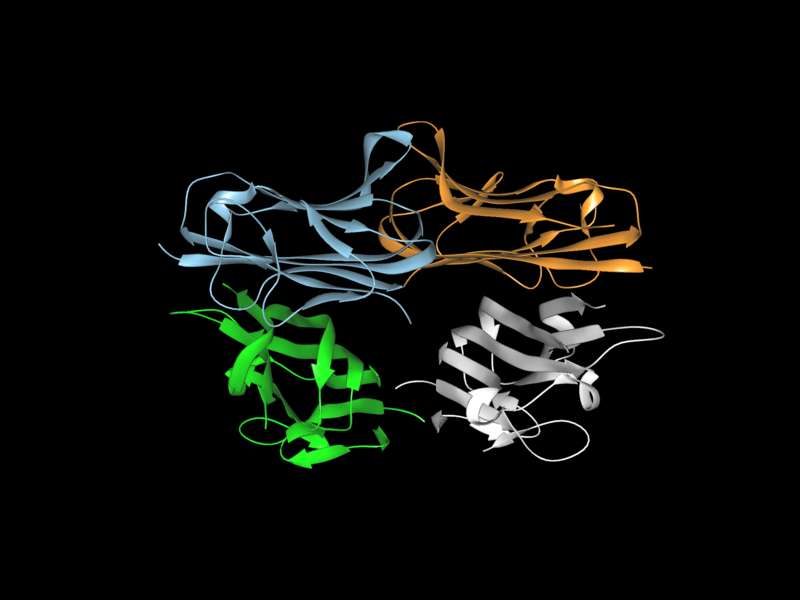 This is how falciparum evades detection by the immune system, and how it escapes destruction by drugs. The sticky cells eventually clog up the cerebral circulation, resulting in the infamous malarial vasculopathy. 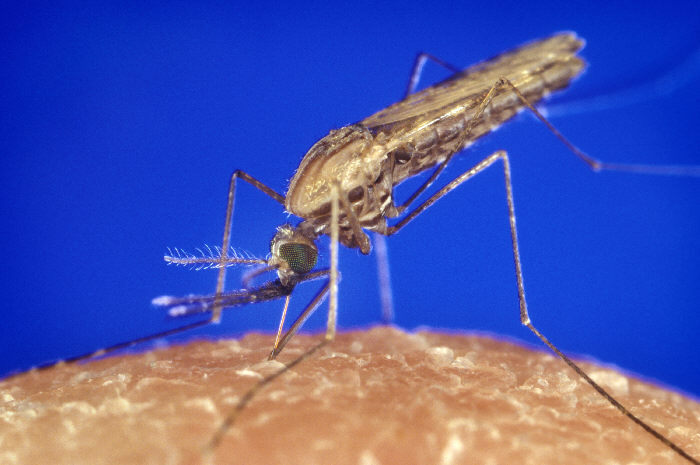 Left untreated, cerebral malaria is sadly invariably fatal. Cerebral malaria has diverse manifestations, and the most devastating include retinopathy, rigidity, ataxia (poor balance), subarachnoid haemorrhage, psychosis, hemiparesis, epilepsy, behavioural abnormalities, and coma. And this is over and above what malaria does to the other organs. The run down is very scary indeed; from anaemia to pulmonary edema, from hypoglycaemia (low glucose) to hyponatraemia (low sodium); from metabolic acidosis to hyperpyrexia (high fever), from disseminated intravascular coagulation (DIC) to adult respiratory distress syndrome (ARDS). Heartbreaking. The investigations of cerebral malaria range from the humble blood film to brain imaging. Treatments include artemisinin derivatives and cinchona alkaloids. A malaria vaccine remains a dream, but not a far-off one; the RTS,S/AS01 vaccine is a promising candidate. Until this aspiration is achieved, the best hope against cerebral malaria remains prevention. The solutions are simple: basic sanitation, public education, and poverty alleviation. But the implementation seems to defy the wits of the great and the good. A lot of work remains to be done.